Where are the Libertarians when you need them? Austin voters failed to approve Proposition 1, a proposal supported by Uber and Lyft which would have let the companies self-regulate their contract drivers. Instead, voters let stand an ordinance passed by the Austin City Council requiring third party fingerprint background checks and additional restrictions on the services. Uber and Lyft pushed Proposition 1 and threatened to leave Austin if it wasn’t approved and both have now said they are suspending service in Austin as of Monday morning. At issue for the companies is not just more difficulty in getting part-time drivers which is the life blood of the services, but that in requiring drivers to get vigerous fingerprint background checks may move their IRS independent contractor classification closer to becoming an employee. This would substantially raise their costs and could eventually lead to dreaded unionization, which of course would kill both Uber and Lyft, making them more expensive than taxis. 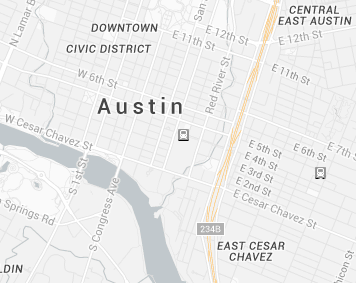 I suspect that if only people who use Uber and Lyft in Austin voted, Proposition 1 would have passed, because users can clearly see that those services are cleaner, more convenient and safer than taxis ever have been.